A leading Israeli musician and her protégé return to Jerusalem for three days to perform with the Philharmonic Orchestra. Both women - one a gifted young cellist, one a Holocaust survivor saved by her extraordinary musical talent - have been in America for some time, are quickly caught up in tangled threads from former lives. Elisheva is reunited with her godson, Daniel; Rachel must face both her distant father and Erytan, a former lover, whose lingering power over her now threatens all she has worked for. Elisheva is coaching Rachel for the solo performance, but something else has drawn her to Jerusalem. Another old friend has lured a Nazi eugenicist, the Butcher of Majdanek, to Israel from Venezuela. The Butcher performed torturous experiments on Elisheva, determining not only her fate but also that of her closest friends. On the third day of her stay, the day of the concert, she will take her revenge. 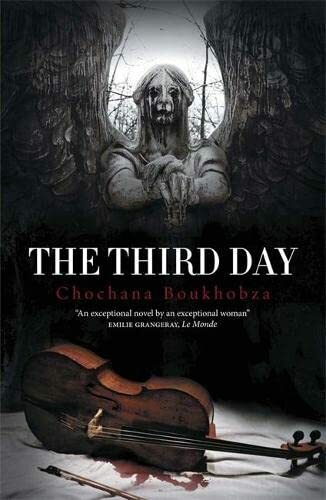 Set in the late 1980s, The Third Day is a vivid portrait of life in Jerusalem and a sensitive meditation on the power of music and the sacrifices it demands. And at its heart is a gripping narrative of retribution that brings the novel's many moving strands towards a tense and shattering conclusion.